A drain is a pipe which carries waste water and sewage from just one property. A sewer is a pipe which carries sewage and waste water from more than one property. When two drains meet, the pipe becomes a sewer (even if the drains are from the same property). You are responsible for drains running from your property and if they are not working. Southern Water is responsible for all sewers. To report a faulty or blocked sewer visit the Southern Water website. If there is a fault in a drain and the fault is not repaired, we can insist that you clear the blockage or make the repair to prevent health problems. We may serve a legal notice and carry out work if you do not carry out work set out in the notice. We can then charge you for the cost of the work and any administration charges. Septic tanks are part of a sewage treatment system and have an outlet that runs to a soak away, typically they require emptying every 12 months. A cesspit (or cesspool) is a holding tank without an outlet. It is not part of a sewage treatment system, it is just used for storage of waste. 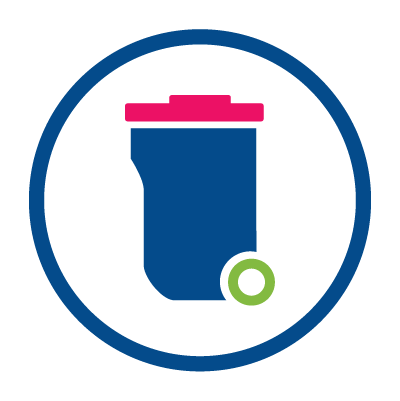 Cesspits need emptying regularly, typically every 45 days, depending on the capacity and the level of use. The owner of the system is responsible for the maintenance and it is an offence to allow either sewage system to overflow. If you see an overflowing cesspit or septic tank call 01622 602202 to report it. A private water supply is any water supply that is not provided by a water company, for example South East Water. The source of the supply could be a well, spring, stream, river, lake, borehole, or pond and can serve more than one property. A private distribution system occurs when mains water is supplied to a site or property which is then distributed to other buildings not owned by that company, organisation or person. The occupants/residents would then pay the landlord directly for the water instead of the water company, for example South East Water. If your home or business is served by a private water supply or a private distribution system you can contact us to see if it is registered or for advice, using our contact us form or by calling 01622 602205. If you are concerned about your private water supply or distribution system and would like advice or to arrange a visit to your property or business, contact the Drinking Water Inspectorate or you can contact us on ehadmin@midkent.gov.uk. Most properties in Maidstone get their water from South East Water. If you're concerned about your supply contact South East Water or Ofwat.